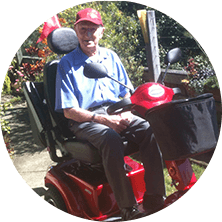 Our scooters can give you independence and freedom. Unsure what’s the best one for you? Try our free 7 day trial to find the one that suits your needs. 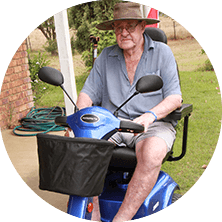 Selecting the right scooter can only be done from home. We’ll bring along a variety of scooters for you to test drive. If you’re after discounted pricing, take a look at our specials and save up to $1,925. Perfect for outings from home to the local shops on uneven footpaths. Ideal for short trips, and loading into the car. Designed for the traveller in mind, light and easy to use. 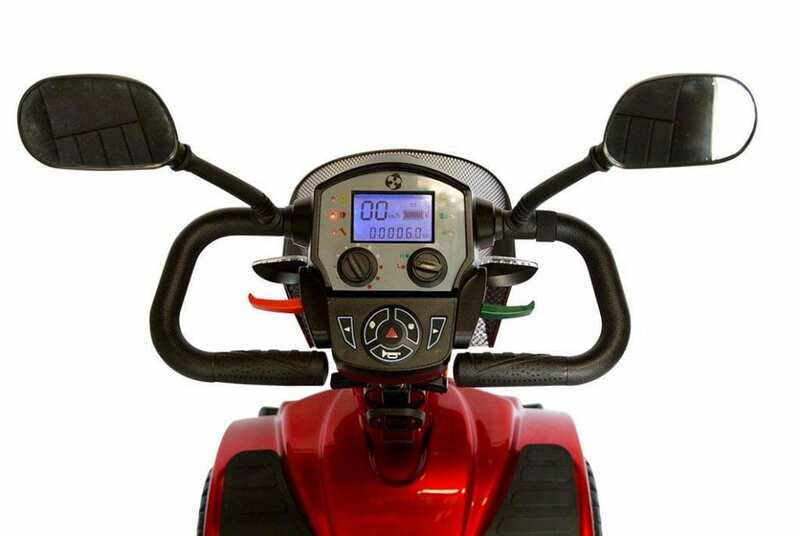 Our mobility scooters have advanced scooter technology with a clear display showing your speed, distance traveled and battery level. 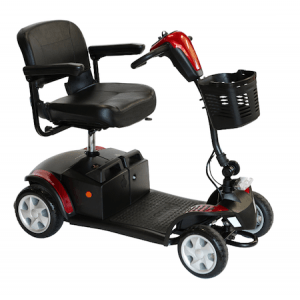 The enclosed tiller provides a more comfortable and a safer grip than traditional scooters. 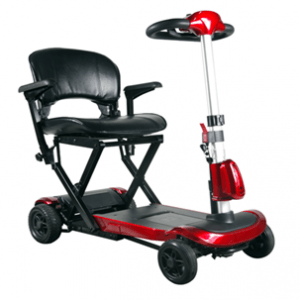 Unsure what’s the best mobility scooter for you? So what happens at a demonstration? Firstly, we talk about your requirements to understand more about where you want to travel. For example, if you live in a hilly suburb, we’ll recommend a larger model. Secondly, we’ll give you a training session on how to travel forwards, stop, turn and reverse. This will give you the knowledge and confidence to becoming a proficient driver. 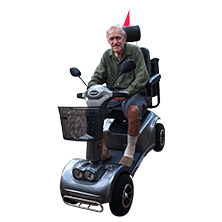 Thirdly, we’ll travel around your local area on the electric mobility scooter or power chair or an electric wheelchair. This could be within the village or perhaps down to the local shops. 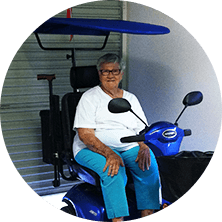 At Active Scooters Australia, we are confident that our scooters and chairs are of the highest quality and lowest price, with an outstanding level of customer service. 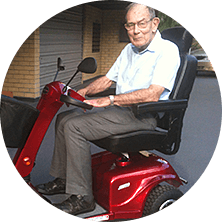 If you’ve been living with limited mobility, contact us now and we’ll come to you for a free home demonstration. The mobility scooter is everything I could have hoped for, and even more. Solid, comfortable, takes hills well, and then there is the high gear when required. And people in shopping centres are instant friends. Getting to the doctors was getting to tricky. 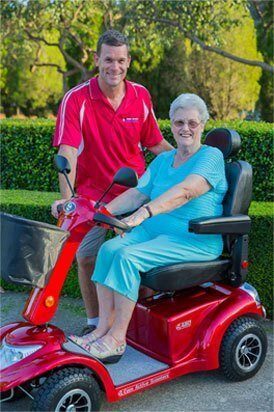 Now I can scooter up the hill without a worry. I save my legs for the shops, not the trip to the shops. Thank you for your assistance and punctuality. Both mobility scooters are going to plan and fulfilling our needs. It was reassuring to find a supplier that makes peace of mind a priority and we have benefited from your special kind of service. Catching the train with my new mobility scooter means I can travel so much further. No longer am I limited to the local shops, it’s wonderful! 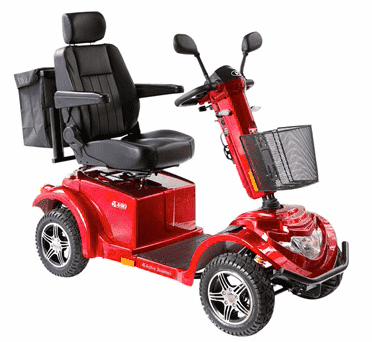 Acreage is where I want to be, and with my new mobility scooter I can now get to the post box, take the bins out and water my garden.